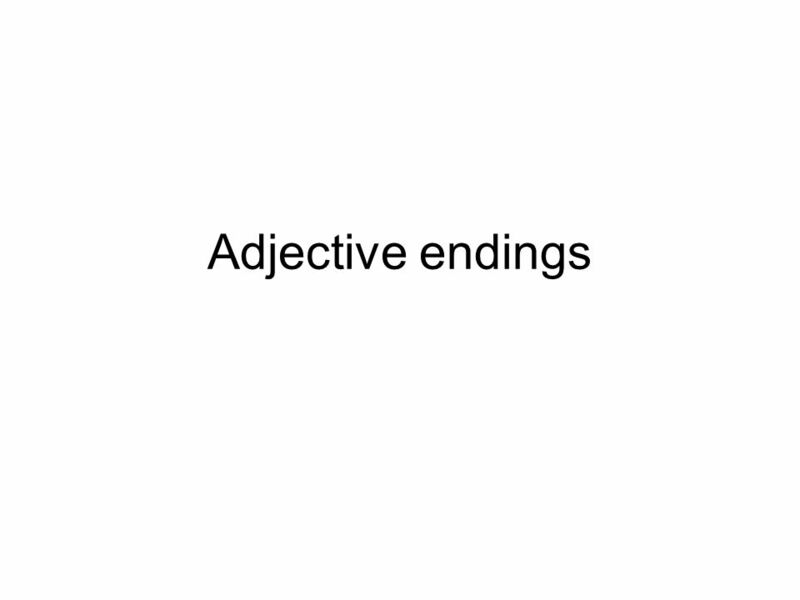 Adjective Endings. 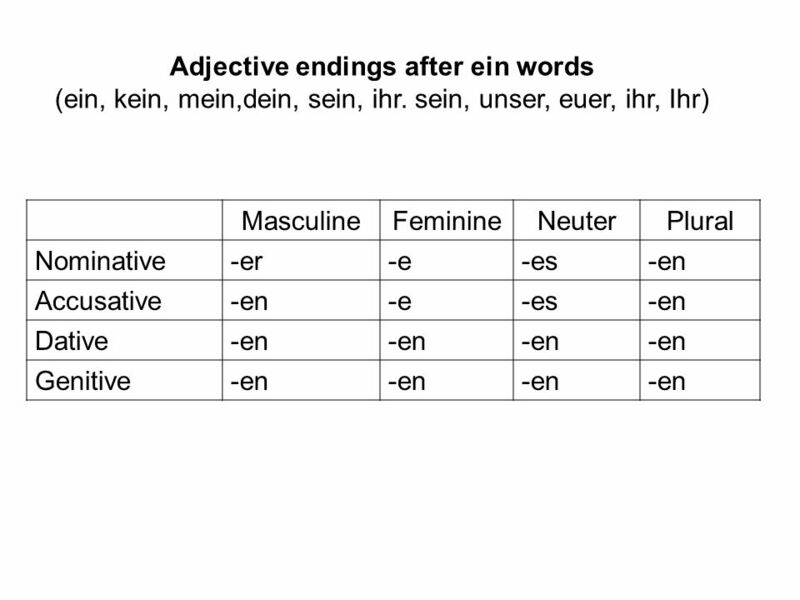 Nominative case There are two adjective ending in the nominative case for –der words: -e or –en Masculine: Der blaue Regenmantel ist. Dienstag, den 23. März Die Lernziele Lets learn about plurals in German. Case Review What does case refer to?. Nominative Case Nominative Case = Subject The subject performs the action of the verb. I buy a CD. Who or what is. CASES (Kasus) Sorry, you can’t avoid them in German. PA Dutch 101 Video 25: The Dative Case. Dativ.. 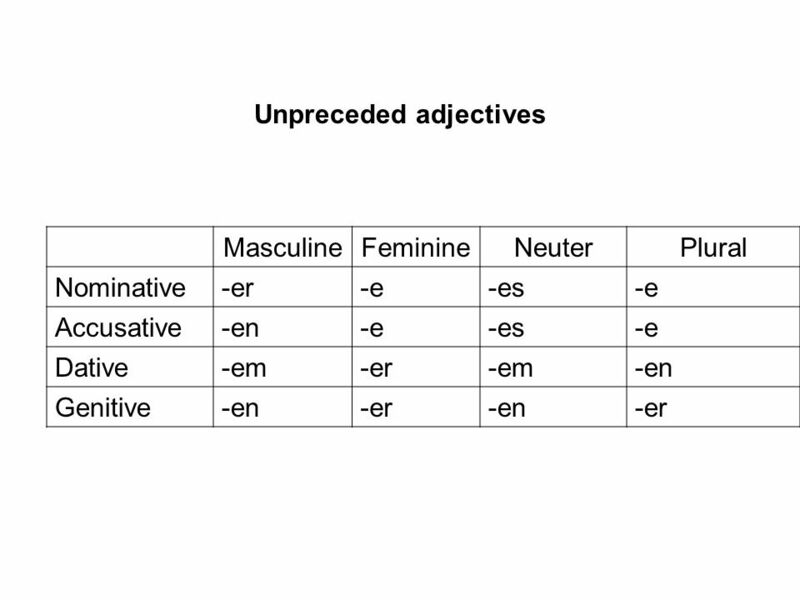 The Dative Case As we covered in Video 12, the Nominative Case identifies the Subject of a sentence. As. Es gibt kein Restaurant. There is no restaurant..
1.3 Lektion 1 F ü hlen und erleben STRUKTUREN © and ® 2012 Vista Higher Learning, Inc Nominative and accusative cases; pronouns and possessive adjectives. The Secret of the German Language Lesson 6: Today will be a good day. Today those little orphaned endings will be adopted. This shows the humanity of the. 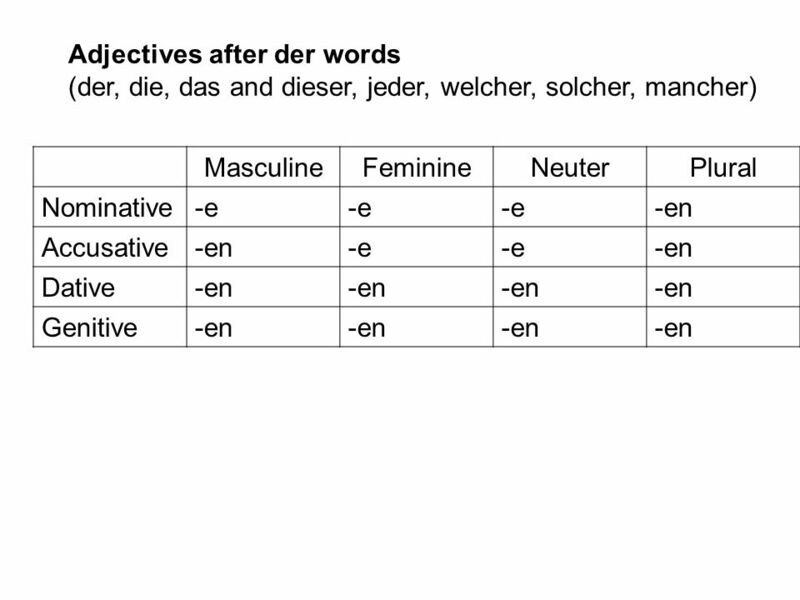 Der Genitiv The genitive case in German shows possession and is expressed in English by the possessive "of" or an apostrophe-s ('s). ROLE-PLAY FOUNDATION You are talking about your school For help with the vocab, click herehere Say why you like it Weil es leicht ist. Say your favourite. I will be able to conjugate and use the verb haben (Seite 108). LEKTION 2 Im Restaurant. objectives After completing this lesson, student should be able to:  Order food and drinks in German  Say their impression.